2014 sees Overkill return with yet another record, in a time often referred to as a creative resurgence for band. Indeed, since releasing Ironbound four years ago, the five-piece's following has burst at its seams because the music returns to thrashier, bombastic roots, instead of the rhythmic groove implemented for the better part of the 1990s and 2000s. In many ways, the newest installment, White Devil Armory, follows the same one-dimensional formula introduced in 2010, but what one must understand is that Overkill has never been about furthering their sound with each successive record. 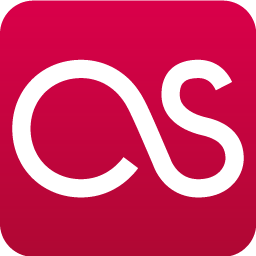 In fact, the band has always been quite the opposite, being about consistent, well-written music that bolsters a discography and instills confidence in a dependable group of musicians. While very few surprises surface across White Devil Armory's track listing, the music is unmistakably groovier than Ironbound and The Electric Age, and a punky tinge hovers over each song like a throwback to Overkill's earlier days. Linsk and Tailer's guitar riffs are as monstrous as ever, placed at the front of the mix by relentless production values, and Verni's popping, clanking bass and Lipnicki's mechanical drumming support the fact that the duo is the best rhythm section the band has had in ages. 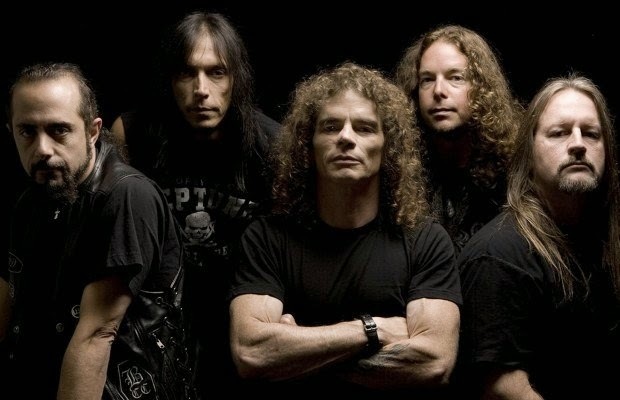 Subtle differences appear in the songwriting: more styles are evident; proving that Overkill evolves at a glacial pace, despite keeping their core sound prevalent. Blitz has always been Overkill's shining star, however, and on White Devil Armory, the situation is no different: the man sounds fantastic, defying 55 years of age and the havoc time can wreak on one's vocal chords. Songs such as "Armorist," "Bitter Pill," and "Another Day to Die" showcase his trademark snarl, but "In the Name's" midsection presents Blitz at his mellowest, not unlike his performances on Overkill's first few albums. The parallel between the two styles is especially eye opening because it's not often that Blitz steps outside his raspy comfort zone to attempt something more emotional. In the end, there's little to dislike about White Devil Armory because the music is chock full of pulsing grooves, headbang-inducing thrashing, and just enough variety to keep the both new and veteran listeners interested. Linsk is really the only downside, because his solos veer off into territory rarely visited by any of Overkill's past guitarists--his playing lacks Gustafson's emotion and feels increasingly sterile as the album rolls on. 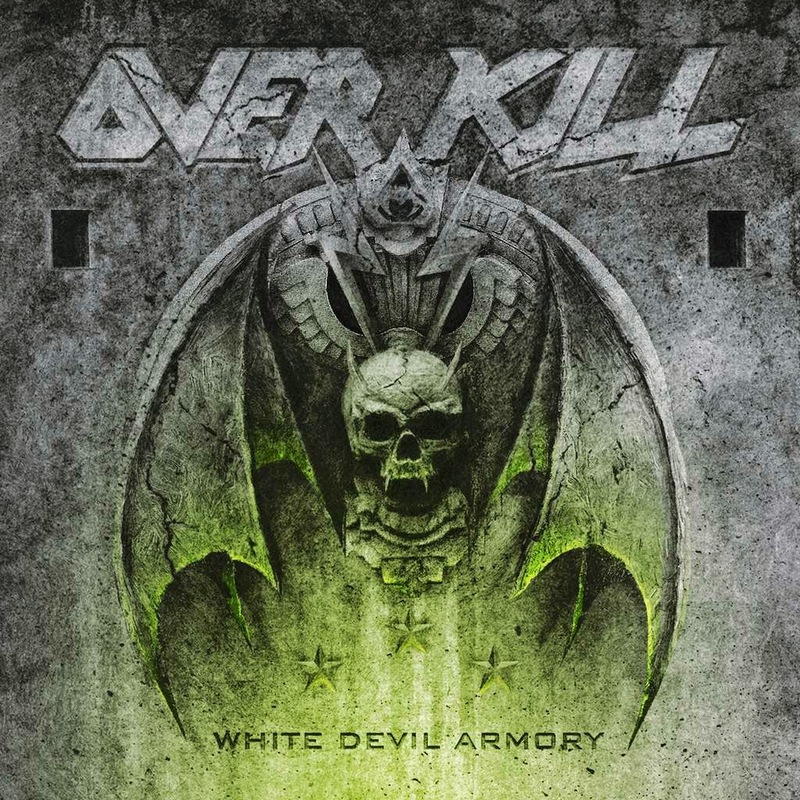 But, even so, White Devil Armory is a worthy addition to the Overkill comeback trilogy and gives hope that the band will continue to churn out records for years to come. Well done, boys. Definitely seems like a solid album. Not sure how it stacks up to the previous two, but it's up there. I wasn't crazy about 'Bitter Pill' at first, but it's growing on me. I've been more impressed with Overkill lately than just about any of the old school thrashers (and most of the new school ones too). If I'm half as cool as Bobby Blitz and D.D. Verni when I'm in my 50's I'll count it as a major win. Have you checked out Teramaze's latest album? It's going to be tough to beat for album of the year, for me anyway. A shame hardly any of the mainstream metal press is talking about it. Also a bummer that they just sacked their excellent lead vocalist and replaced him with someone not quite as good. I think it stacks up very well. Whereas The Electric Age felt a bit like Ironbound 2.0, White Devil Armory has the same sound but is a little more varied. Blitz and DD still have it. There's no doubt about that. If you pick up the album from Best Buy, you can get a copy with the booklet signed by the two of them! I haven't heard Teramaze's new album, but I added it to my list. My inbox is overflowing with requests and submissions. I have more music than I can handle right now. It doesn't help that this month has been slow for blogging, but I'l get to their album. Thanks, as always, for commenting, Eric! Comes with some bonus tracks too, right? Are they any good? But seriously, make the time for that Teramaze album! It takes a *little* effort to take it all in, as it's almost too long for its own good (though after many listens I struggle to pick a single song I could do without). Most of the big hooks are in the first half though, so it should grab you right off the bat. Two bonus tracks. "The Fight Song" isn't great, but the Nazareth cover, "Miss Misery," is excellent and features Mark Tornillo. I'll try to put up a Teramaze review in a couple of weeks. Keep an eye out for it! Once we hit August, blogging should pick back up.